Fortunately, there's a pretty long list of good sunscreens that you can use . An introduction to the Reef Check California organization to the Ames Dive Club, 2014-04-03. 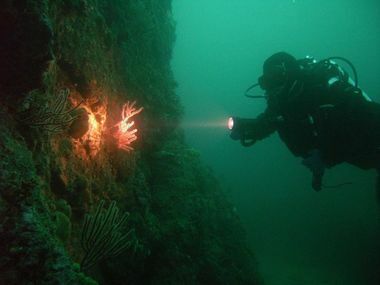 A wonderful overview of California oceanography presented to the Ames Dive Club, 2013-08-14. Latex seal maintenance and comfort tips.